Sydney’s identical twin sisters Amy and Lily Harding-Delooze will headline a 26-strong Australian athletics section for this year’s Commonwealth Youth Games in Samoa. The 16-year-old sister act from the Randwick Botany club will form part of an exciting generation next group in Australian athletics, named today by the Australian Commonwealth Games Association. Athletics Australia nominated the 13-girls and the 13-boys to the ACGA after the Australian Junior Athletics Championships in Sydney last month brought the athletics season to a close. The Harding-Delooze sisters were born in Sydney on July 21, 1998 – the year of the Commonwealth Games in Kuala Lumpur – and will be 17 when they compete in Samoa. The Commonwealth Youth Games will be staged in Apia between September 5-12 with the athletics competition at Apia Park, a stadium with a 15,000 seating capacity. Family traditions are certainly not unfamiliar in Australia’s strong Commonwealth Games history with our most recent team to Glasgow last year featuring pole vaulting duos, WA sisters Vicky and Liz Parnov and Queensland brother and sister Matthew and Alan Boyd alongside swimming’s Campbell sisters Bronte and Cate and brother and sister David and Emma McKeon. The 1978 Commonwealth Games in Edmonton saw Italian-born Australian cycling twin brothers, Sal and Remo Sansonetti chosen to carry the Australian flag in the opening ceremony – the first time the honour had been shared. There was certainly a similar dose of double celebration when the phone rang in the Harding-Delooze household with not one but both twins notified by Athletics Australia they had been selected for Samoa. “We honestly couldn’t believe it,” said Amy, “we were running up and down the house yelling and screaming..we are both just so happy. Amy will contest the 1500 metres while Lily will line up in the 800 metres in a team that includes nine athletes from NSW; seven from Queensland; six from Victoria; three from WA and one from the ACT. “We do so much together – we are even sharing the same bedroom at the moment with my Nana staying from England,” said Lily. “We run together under Ken Green at the Sydney Running Academy; we compete together for Randwick Botany; we even study the same subjects for the Higher School Certificate at St Clare’s College, Waverley. “And to go to the Commonwealth Youth Games with Amy is really very special and like my sister I have goals to one day represent Australia at the Commonwealth Games and the Olympics. “This is such a great stepping stone and to join other young sportsmen and women from other sports and other countries is amazing – it’s going to be so much fun. And the identical twins have had some close battles in their short but very competitive careers – none closer than last year’s Australian All-Schools 800 metres final. To those in the grandstand in Adelaide it was a dead-heat and they were both given the same time, 2:09.74 but after much deliberation and consultation with the photo finish print Lily was awarded the gold medal by just 0.0005. “The ACGA is pleased to announce the appointment of the 26 Track and Field athletes to the 2015 Australian CYG Team for Samoa. 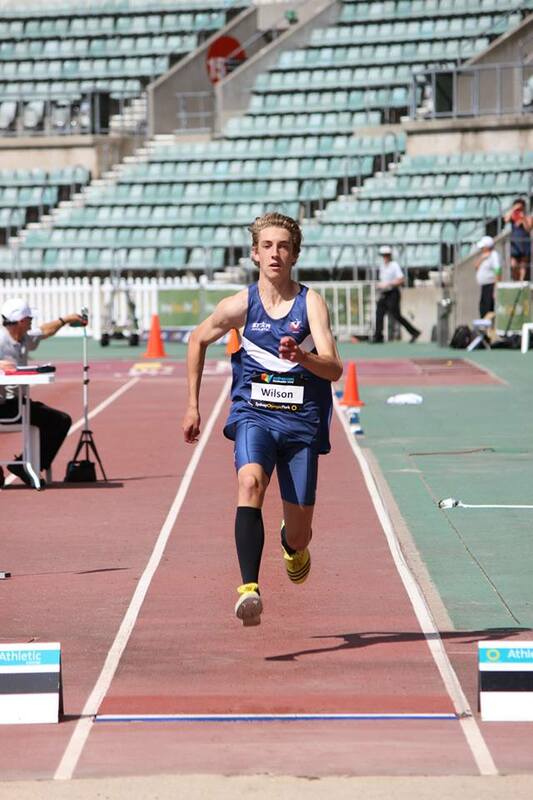 The Athletics section is always one of the largest groups of athletes in our team and we are confident this group will proudly represent Australia at these Fifth Commonwealth Youth Games,” said ACGA CEO, Perry Crosswhite. “The team selected is one that will compete for Australia proudly and we wish them every success in Samoa this September,” said Sara Mulkearns, Athletics Australia Junior High Performance Manager. “The chance to compete for your country is an exciting one, and we are confident the experience will help prepare the athletes for success at future international competition events including the 2018 Commonwealth Games on the Gold Coast. – Box Hill, Victoria sprinter Nana-Adoma Owusu-Afriyie, who finished second in the Australian Junior 100m final in 11.85 ahead of Queensland’s hurdler Kirra Womersley who will contest the 100m hurdles. – Australian junior long jump silver medallist Thomas Wilson from Diamond Valley (VIC). – Long jump bronze medallist from the Australian Juniors Billie Arch from Cairnlea in the north-western suburbs of Melbourne. The athletics track at Apia Park currently has an 8-lane Balsam all-weather synthetic 400m track, one full sized Rugby field as well as a Long Jump pit, Shot Put Circle, Discus circle, Javelin runway, High Jump area and a Pole Vault runway. There is a 4-lane warm up track on field 4 and the Athletics track will be resurfaced in time for the Games. The Australian team will be led by Australia’s greatest ever Paralympian, swimmer Matthew Cowdrey, who was recently appointed as the Team’s General Manager. Australia will contest Athletics, Boxing (Men Only), lawn Bowls, Rugby 7s (Men and Women), Squash, Swimming and Weightlifting. High Jump: Paige Wilson (NSW).